inkyloulou Designs: It's Here!! It's Here!! The New Catalogue is Here!! It's Here!! It's Here!! The New Catalogue is Here!! 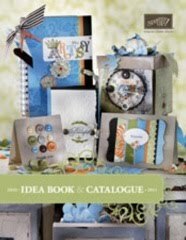 The Brand New Stampin Up 2010-2011 Catalogue is HERE.....Woo Hoo!!!! One of the most exciting things about the new catalogue is the amazing new colours that have been introduced. They are just gorgeous and I can't wait to get them in my craft room and have a play. Stampin Up! 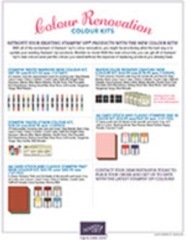 have released some new colour kits and you can have a squizzy at those HERE. If you have any questions OR would like to order your own catalogue to have in your own little hands to look at over and over OR would like to order some of the fabulous products in the new catalogue then please email me at inkyloulou@live.com. I hope you are as excited about the new catalogue release as I am!!! !